Yesterday, Google unveiled its Project Tango tablet dev kit, which is packing some of the most beastly hardware we've ever seen in an Android device: NVIDIA's Tegra K1 chip, 4GB of RAM, 128GB of solid-state storage, and multiple sensors and cameras to do what Tango does. What wasn't really discussed, however, is the 3D engine that will run the show. We're now getting a little closer look at how that could possibly work thanks to a new concept video from Mantis Vision, the company that produces the technology used for 3D data manipulation in Project Tango. This core technology used in the 3D engine is called MV4D, and Google's upcoming Tango dev kit is the first device to utilize this advanced rendering platform. This is, of course, a concept video. The results from Tango will likely be dramatically different, at least initially. As time goes on and the platform matures, what is seen in this video could become more of a reality. The very idea of Tango itself is intriguing, and I'm personally looking forward to not only seeing where Google takes the project, but how developers start to utilize the array of sensors and algorithms once the dev kit is released for purchase. For more info on the dev kit and to sign up to be notified once it's available, head here. 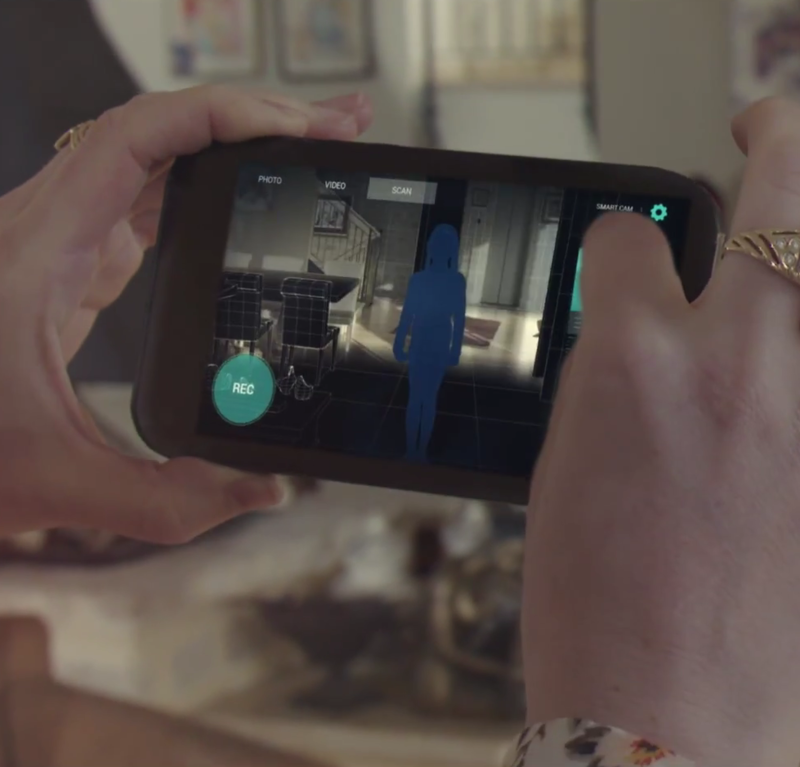 TEL AVIV, ISRAEL--(Marketwired - June 05, 2014) - Mantis Vision, a developer of some of the world's most advanced 3D enabling technologies, today confirmed that its MV4D technology platform will serve as the core 3D engine behind Google's Project Tango. Mantis Vision provides the 3D sensing platform, consisting of flash projector hardware components and Mantis Vision's core MV4D technology which includes structured light-based depth sensing algorithms. Google's new seven-inch tablet is the first mobile device released that will access the MV4D platform to easily capture, enrich and deliver quality 3D data at scale allowing Google developers to quickly build consumer and professional applications on top of the MV4D platform. "3D represents a major paradigm shift for mobile. We haven't seen a change this significant since the introduction of the camera-phone. MV4D allows developers to deliver 3D-enabled mobile devices and capabilities to the world," said Amihai Loven, CEO, Mantis Vision. "This partnership with Google offers Mantis Vision the flexibility to expand quickly and strategically. It will fuel adoption and engagement directly with consumer audiences worldwide. Together, we are bringing 3D to the masses." MV4D is Mantis Vision's highly-scalable 3D capture and processing platform that allows developers to integrate Mantis' technology into new and existing applications with ease, to drive user-generated 3D content creation throughout the mobile ecosystem. MV4D's combination of field-proven 3D imaging hardware and software and a soon-to-be released software development kit (SDK) will ultimately serve as the backbone of 3D-enabled mobile and tablet devices. "We are excited about working with partners, such as Mantis Vision, as we push forward the hardware and software technologies for 3D sensing and motion tracking on mobile devices," said Johnny Lee, Technical Product Lead at Google. Since its inception, Mantis Vision has been dedicated to bringing professional-grade 3D technology to the masses. The company's technology will be a key component of both professional and consumer level devices and applications across a wide customer base of leading mobile technology companies, application developers and device manufacturers. Because the MV4D platform and SDK is fully scalable, it is already being planned for use in more powerful, diverse range of products in the future.